Easy to paint with Watercolors! 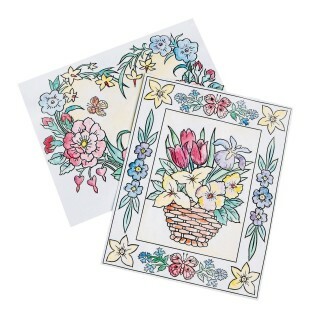 Beautiful floral designs with raised lines makes painting with watercolors easy! Includes 12 each of 2 designs - Floral Wreath and Floral Basket, watercolor paints, brushes and instructions. Finished painting is 8” x 10”. 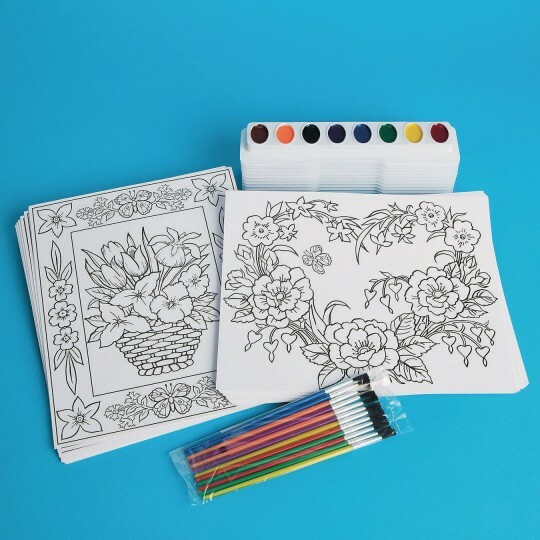 Using these with our residents at a skilled nursing facility. These have a raised edge on the picture itself. The residents are able to keep the water colors where they put it. It does not bleed as much to other adjacent parts of the picture as those that do not have the raised edge.